ID: 16 ~ Source: University Archives Photograph Collection, UA 8. ~ Creator: College of William and Mary. 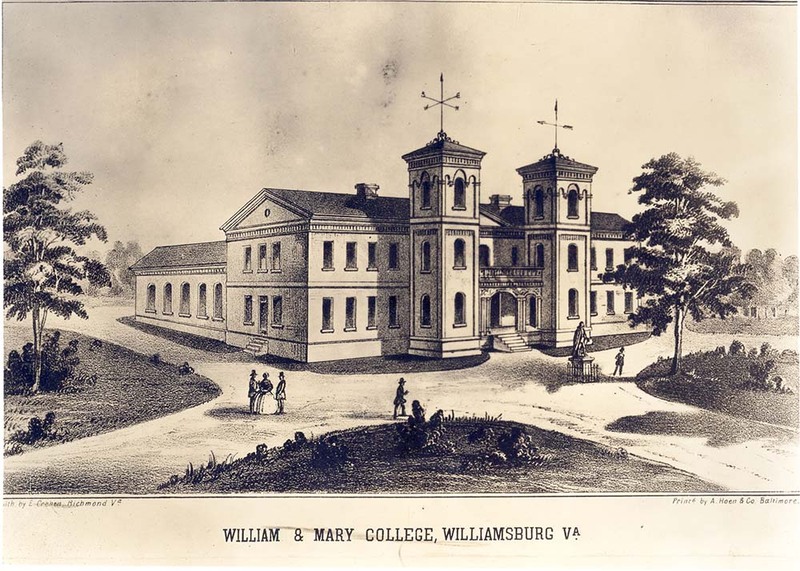 A photo of an engraving of the Wren Building, depicting the building during the brief period between the fires of 1859 and 1862.